It’s been 10 years since the thrilling Uncharted video game series burst on the scene – the perfect time to bring back this incredibly popular figure from our Ultimate line! 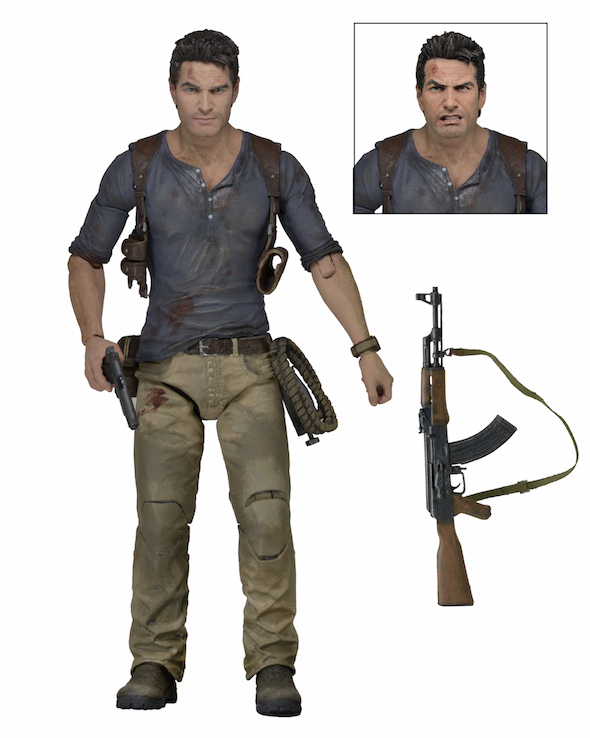 Adventurer Nathan Drake is based on his appearance in Uncharted 4: A Thief’s End, from Sony and Naughty Dog. This 7” scale action figure features almost 30 points of articulation and is packed with fortune-hunting accessories: coiled and uncoiled climbing ropes, pistol, AK-47, two sets of hands, and two interchangeable head sculpts. Comes in collector-friendly deluxe window box packaging with opening flap.